The Knowledge Exchange Programme was designed to foster cross-sectorial interaction, co-creation and knowledge exchange and featured a series of events-based activities, with funding provided under four schemes. The activities were driven and shaped by CWL’s overarching research themes. Alongside ran London Creative and Digital Fusion, an ERDF-funded programme of interactive, tailored and in-depth support that was designed to support the UK capital’s creative and digital companies to collaborate, innovate and grow. During the AHRC-funded period from June 2012 to July 2016 Creativeworks London worked with small and medium sized businesses (SMEs), entrepreneurs and artists from London’s creative economy to offer new collaborative research opportunities with arts and humanities researchers from CWL’s partner institutions. With support from its delivery partner, The Culture Capital Exchange, the Creativeworks London team has curated, funded and supported more than a hundred collaborative research projects. Straightforward application and operation processes. Gain in-depth knowledge of the Higher Education Sector. The Researchers-in-Residence scheme enabled creative and cultural companies to access specialist knowledge or expertise provided by a current or recently completed PhD student or early-career researcher. This scheme supported 22 projects across four rounds. Key benefits to the business was to gain access to the researcher’s networks and resources. The researcher was able to gain in-depth knowledge of the relevant business sector and both partners developed researcher/business collaborations, fostering long-term relationships. The BOOST scheme was a follow-on award open to all CWL and Fusion Collaborative Awards awardees. BOOST was established to enable businesses and researchers to develop and/or commercialise their ideas through an additional research project that benefited both the SME(s) involved and the arts and humanities research base in London. BOOST projects had budgets up to £25,000 (£10,000 to SME, £15,000 to the research partner). This scheme awarded five projects. London Creative and Digital Fusion was a programme of interactive, tailored and in-depth support designed to help London’s creative and digital companies to collaborate, innovate and grow. It was part-financed by the European Regional Development Fund (ERDF), via the Greater London Authority. Headed up by Lancaster University, Queen Mary University of London (QMUL) was one of the main delivery partners because of its outstanding experience in assisting SMEs to develop innovative ideas through collaborations with universities and each other. In collaboration with Creativeworks London, QMUL delivered more than forty Fusion Collaborative Awards and Researcher in Residence placements, as well as business support packages tailored specifically to creative and digital companies and the two funding opportunities. 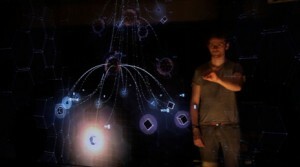 The Fusion Collaborative Awards (FCAs) were part of the CREATE Phase of the London Creative and Digital Fusion project. Taking into account different cultural requirements, its aim was to nurture creative and digital SMEs to make connections with academia and business, leading to new jobs and growth. The Fusion Collaborative award programme, delivered by Queen Mary University of London, gave selected firms access to innovation vouchers, with which they could purchase support from a range of expert providers. The programme delivered thirty four collaborations between SMEs and universities, enabling companies to create new jobs, processes and products that lead their businesses into growth and sustainability. A framework of Higher Education Institutions / Independent Research Organisation partners was selected via a tender process to participate in the Fusion Collaborative Award scheme. These Knowledge Base Providers were: Goldsmiths, University of London; King’s College London; Kingston University; Queen Mary University of London;Central School for Speech and Drama, Centre for Creative Collaboration (University of London); Tate. Partnering together with Creativeworks London, this placement scheme offered SME’s access to a number of high profile London universities that have large numbers of highly motivated, entrepreneurial PhD students, postdoctoral and early-career researchers who have the knowledge and skills that creative businesses need. The Creativeworks London and the QMUL Fusion teams have run three joint rounds in 2013 and 2104. 4 placements were awarded in total through London Fusion. Rationale and KE methodology: The RSPP’s role is to grow the overall market for portraiture and to ensure a healthy future for practising artists, while maintaining its own share of the commissioning market. This project involved research into the changing dynamics of modern portraiture and forecasting short- and long-term trends in portraiture-commissioning in order to inform the RSPP’s long-term marketing strategy and to enable the organisation to fulfil its role effectively. Key achievements and related supporting evidence: RSPP’s turnover went up by 62% and this level has been sustained. A Paper from residency published in Vienna Yearbook of Art History. The research has been invaluable. Not only has it informed a marketing strategy which has already contributed to an increase in the customer base of over 25% and significantly increased turnover but also has deepened many key relationships and led to a public talk on the motivations behind commissioning ‘Love and Legacy’ with Dr Ayres at the Mall Galleries in May 2014. The collaboration has extended my research interests in portraiture in a new way that I wasn’t expecting, by creating a contemporary and commercial aspect to these … the conference opportunity has helped me to contextualise this commercial research within a field of research into portraiture that I hadn’t really been aware of until now. The marriage between academia and commerce is proving very fruitful; The RSPP has already turned over more this year than they did during the whole of 2013. Inspired by the CWL collaboration an additional RSPP collaboration is now running with an MA student from City University. Looking to the future, the model of SME+academic has proven so fruitful that the RSPP is currently collaborating with an MA student from City University investigating the motivations behind commissioning portraits in two key sectors, the wealthy individual and the educational institution. This too should generate further academic/commercial research together with a significant commercial spin-off. Rationale and KE methodology: InnovareDesign Ltd is a retail design consultancy specialising in interiors, branding and graphics for the retail sector. They identified a need for research support to interrogate their business model and enhance their use of digital tools. An FCA enabled a collaborative research relationship with a postgraduate student, supported by a team of Goldsmiths’ Design researchers. Innovare Design was able to work with this team at Goldsmiths over a year to bring their business to a new level. The aims of the project were to identify the opportunities in Innovare Design’s current business processes to optimise their expertise to add value for their clients, to develop their competitive edge, and to identify digital communications and new software tools to support this development. Key achievements and related supporting evidence: The FCA has delivered the research expertise required by the business to implement changes including the development of a knowledge hub specialising in omni channel retailing. Innovare Design have improved their internal processes, established effective pathways to innovation in their service delivery, increased client satisfaction and retention, and established new routes to client acquisition. Contribution to CWL aims: This project contributed to CWL’s strategic aims for its membership of the London Creative and Digital Fusion partnership: it connected design researchers and a postgraduate student to an SME in the creative economy to build a successful collaborative project; it contributed to the ‘fusing’ of digital and creative design skills; it generated research and business benefits; it has a sustainable legacy through Goldsmiths Postgraduate Innovation Apprenticeship scheme; and it has contributed to the economic and innovation capacity of London’s creative economy. It was extremely productive for us. The ingredients to the success of this project are based very much on a tripartite delivery process. I had to invest a lot oftime into this collaboration because we wanted this to be successful. The student was critical to the whole thing. He challenged us; taking us all outside of our comfort zone making sure we did things better. Where he was not a specialist he was also tireless in getting that information from his senior academics. The collaboration has enabled me to create an excellent case study for design-based innovation and transformation. It has also facilitated a postgraduate student to deliver the innovation into the company, offering a very high quality intervention between the university and business. Legacy and sustainability: Goldsmiths has developed a new initiative in response to the FCA scheme, for projects it believes would benefit from a long-term intervention. Under this scheme, the Postgraduate Innovation Apprenticeship, Goldsmiths recruits a talented graduate or industry expert to take part in their MA in Design and Innovation and to work with a specific SME to respond to their business needs. Innovare Design was also awarded a second FCA to work with Goldsmiths Creative Computing Department and their Innovation Centre, researching a potential ground-breaking app to be used in the retail sector. Rationale and KE methodology: The original residency explored new methods to assess the economic, social and cultural impact of Fantasy High Street’s work. 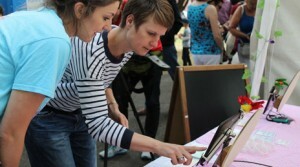 The Creativeworks award enabled a collaboration on Fantasy High Street’s inaugural event in July 2013 within shop spaces in Lower Marsh high street, Waterloo, and delivered a series of evaluation and monitoring activities. The BOOST award supported a new business -focused collaborative research project: a feasibility study for the application of a new business idea – an RFID wristband / entry pass which can be used within the context of a free arts festival, tracking the movement of festival-goers within an un-ticketed event site, and monitoring how those visitors engage with the local high street and its businesses. Key achievements and related supporting evidence: The collaboration has generated new ideas and ways of working to enable audiences to create their own bespoke experience within a public setting, whilst at the same time learning about them and what they think. According to Lydia, ‘it is a very tricky line to walk, and our partnership with King’s has assured that we constantly consider the ethics and use of data collection and analysis as part of our work.’ As a result of the collaboration, there is now an active thread of interactive evaluation methods at the core of all of Fantasy High Street’s work, exploring alternative methods to engage audiences and high street visitors in new ways, to assess their involvement and enjoyment of outdoor and free cultural events. By tying the system that has been tested in with local businesses (offering discounts and incentives in local shops) it tracks how much money is being spent within local businesses without gathering personal details about the individual festival goers. This collaboration began just as Fantasy High Street was starting up as a company; the business is now a registered CIC with an annual turnover of £45,000 in their second year of trading. As part of our BOOST Award project FHS took on a second employee for the summer period and employed numerous freelance staff members for the delivery of both projects funded by CWL. Contributions to CWL aims: The project has supported innovation and entrepreneurship, and has made a positive difference to both the business and the researcher. the relationship with CWL has introduced FHS to new potential partners, awoken creative ideas through discussion with other artists and academics and has provided a platform for us to talk about our work at conferences which has led to new potential partnerships. Roberta Comunian has a growing profile for her knowledge exchange with the creative industries, and co-edited Beyond the Creative Campus: Reflections on the evolving relationship between higher education and the creative economy (2015). Legacy and sustainability Kings College London is considering running a visiting cultural partners scheme, building on what has been learned through these two projects. Rationale and KE Methodology The project built on a creative-voucher project that brought BeatWoven together with two researchers from QMUL, Andrew Robertson (Digital Music) and Noam Shemtov (IP Law) to develop software, and research IP issues in using music to make patterns woven into fabric. BOOST funding allowed Nadia-Anne to develop her coding/software design to create an App to allow people to interact, upload their own music, see the patterns playing and create their own patterns to be woven and to clarify further key legal issues for her business. Key achievements and related supporting evidence: The App will be one of the first components of Nadia-Anne’s future project – creating London’s first BeatWoven digital mini mill. Nadia-Anne reported that it is possible that without CWL BeatWoven may have never found the answers to the obstacles it faced and could not exist today. It has been crucial. Nadia-Anne’s business would not have developed as it has without the legal expertise offered by Dr Shemtov. Since the initial collaboration, BeatWoven received commissions from The Southbank Centre and London Philharmonic Orchestra, worked with Harrods on an exclusive collection for London Design Week 2014 and was showcased as a Future Heritage project at Decorex International 2014 and at Future Artefacts 2015. 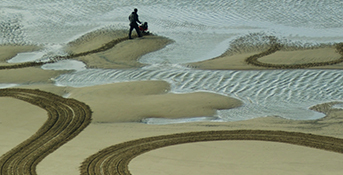 Contributions to CWL aims: the project has demonstrated the creative and commercial benefits of collaboration between a creative SME and academic researchers. Nadia-Anne has also contributed to a range of events run by CWL to support creative entrepreneurs. the opportunities this [project] has brought not only to BeatWoven but to the wider creative economy are endless.’ Since working with Creativeworks London, BeatWoven has grown as a brand and moved to the next level, with new clients and more business, thus more turnover with the potential for new staff. It is Nadia-Anne’s hope that this project is the first piece of the puzzle towards her ‘Mini-Mill’, which will free up ‘HUGE manufacturing issues caused by an aged and threatened UK weaving industry, bringing digital weaving alongside 3D printing. (Academic) Dr. Shemtov has presented conference papers and written a scholarly article using BeatWoven’s copyright issues as a case study. Legacy and sustainability: The published research that emerged from this collaboration will provide clear legal guidance for other creative companies. BeatWoven is now able to expand its business on the basis of improved software and a secure understanding of relevant IP issues. Rationale and KE methodology: Seeper Ltd worked with George Buchanan from City University London, to develop a gesture recognition technology on which progress had stalled. The company needed a fresh perspective, and the framework of this kind of knowledge exchange project to make progress. The collaborative research process allowed for the initial idea to be further tested using a range of supported depth-sensing cameras, allowing users to train the system to recognise any gesture, pose or object. SeeMove has the potential to translate sign-language to spoken word or live text. It could also be used to teach sign language, or for physical therapy and development of coordination. Key achievements and related supporting evidence: SeeMove is a gestural interface SDK that can see intricate detail from a distance, enabling tracking of objects as well as people, whilst not being limited to the desktop, a specific camera, operating system or device. It is a next-generation software solution developed by experts from the games & camera vision industries. Research conducted during the project culminated in a workshop at which Seeper presented several prototypes then discussed possible application for the proof-of-concept products. 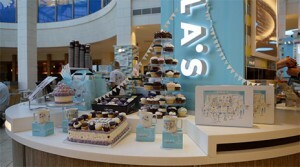 The company then extended the collaboration and undertook a deeper analysis of the retail opportunity. Working with faculty and students at City University this resulted in the development of a concept in a form ready to present to industry. Contribution to CWL aims: The creative voucher scheme supports the development of collaborative research. In this particular collaboration an academic from the Centre for HCI Design in Creative Digital disciplines joined a company from IT, software and computer services to explore the provision of new services within the digital industries. A number of other applications were discussed in the brainstorm. The key learning is the need to consider not just the technical but broader usability considerations in designing proof of concept products. We have extended the use of creativity methods to our usability work, and this has raised two issues for future research: first, how to achieve principled ideation for novel technologies; second, how to break constraints based on user research. While we made progress on each of these, the project has clarified the importance and challenge of both. In terms of concrete progress, the methods we had developed before the project have now proven useful in a real-word scenario, and are now at a point where MSc/MA students are able to use them with little or no oversight. The company and the researcher plan to collaborate on a ‘future retail’ research project and potentially on InnovateUK funding for the future retail collaborative R&D project and/or for KTP. Rationale and KE methodology: Spread the Word was seeking to link creative writers with small games developer companies. Spread the Word worked with the CWL researcher in residence on a project called Connecting Stories to conduct research within the gaming industry and with writers. The aim was to establish what professional development opportunities may be required to enable both industries to learn how to access, work with and develop writing opportunities. Contribution to CWL aims: The CWL Researcher-in-Residence scheme connects doctoral students and early-career researchers with SMEs in the creative economy, in order to build KE capacity in the Arts and Humanities and to enable collaborative research projects that will both benefit researchers and respond to the business needs of SMEs. This collaboration brought clear benefits to the SME and to the researcher, and built cross-disciplinary understanding about the needs of the games industry. The collaboration has provided us with knowledge and real-life examples of writers who have been involved in the creation of video games. This has helped StW think about how we may support writers make links with the gaming world and things we, as a writer development organisation, can do to support writers in gaining valuable experience and links with the gaming industry. This research allowed me to explore the issues at the heart of my PhD thesis in a real-world setting. The structure of the project meant I spoke to a number of people who each had a valuable perspective on the issues I’m looking at, which has proved hugely useful when thinking about how I might apply my research in the future. The SME is beginning to apply the findings of this work to its current practices. The SME has also placed the researcher in contact with another company specialising in this type of research, who are planning to collaborate in order to explore further the findings which were uncovered. The researcher is currently investigating other sources of funding, to extend and deepen the insights and career development impacts of this fascinating piece of work. Rationale and KE methodology: Rob Sherman produced an original body of artistic work in reaction to the Lines In The Ice exhibition at the British Library. The main aim of this work was not only to provide an alternative perspective on the historical events covered in the exhibition, but to also critique and comment upon the Library as a cultural institution, and to examine how its practices relate to the wider heritage industry. The artistic work includes a hand-bound book, a hidden web server at the Library, a series of experimental digital games and a research blog. These were completed with Rob’s own expertise and the Library’s knowledge assets, as well as collaboration with the various professional elements of the Library including curators, conservators and exhibition staff. Key achievements and related supporting evidence: This residency has evidently improved the Library’s public engagement; the Lines In The Ice exhibition has been extremely successful, with over 100,000 visitors by the time it ended. In addition Rob’s well-documented field trips to key historical locations in London and his championing of the Library’s conservation work through the creation of the notebook are significant contributions to the Creative Economy. Contribution to CWL aims: The CEIR initiative has been developed to support entrepreneurs who are interested in undertaking a short-term residency with one of CWL’s research partners. This collaboration brought together different expertise within the Library, the artistic perspective of the entrepreneur, and audience participation, strengthening and diversifying each partner’s collaborative research activities, and contributing to audience engagement and diversification. (CEIR)Rob Sherman: ‘These are methods I will continue to use in my future work. I will continue to develop ‘On My Wife’s Back’, and will generate further interesting material to use in my fiction; whether such things are be found ‘accidentally’ in my everyday life or deliberately sought out on research trips, residencies and the like.I have become much more open to the idea of collaboration. Contacts made during my time at the British Library have led directly to my AHRC-funded PhD at Bath Spa University. I have resolved, after my current PhD, to enter the heritage industry in order to promote, develop and explore digital innovation projects such as these, to improve public access, publicity, knowledge and understanding. I am currently applying to Shetland Arts and Northlink for funding to undertake a month’s residency on Shetland in Summer 2017. (IRO)British Library: enhanced public engagement, contributions to the success of an exhibition, benefit of further funding from the Eccles Centre for North American Studies (£5000) for future work with Rob Sherman. Stromatolite Ltd worked with Frank Millward (composer and performer) from Kingston University to develop ‘a mobile digital platform for the dissemination of community generated narratives’ to unearth shared visual and sonic memories that relate to specific London sites. The platform utilised the Google Maps API and was custom‐fitted with the graphic language developed specifically for the project. This collaboration has allowed for the development of a conceptually rich and socially relevant product, with particular insight into methods and challenges of generating content by engaging local communities. 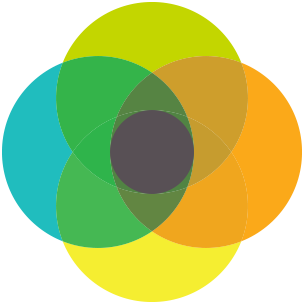 The project has produced a mobile digital platform of community‐generated narratives. The researchers have delivered a range of audio-visual materials that reflect the idiosyncratic nature of the many ‘community generated narratives’ documented during the process. In addition to this Stromatolite hosted a workshop on the 27th of March 2013, including representatives from Kingston University and invited experts on community engagement with creative content platforms and the effects of digital media on communities. Artists and experts presented their work and elaborated on their community engagement experiences. The workshop provoked interesting discussions on the definition of community, methods of public engagement, submission and delivery of information to audiences, and different methods of communication that would help users document and disseminate narratives. The project has led to conceptual development of ways to address and communicate with local cultures, and further development of commercial deployment of ideas around community, communication and the Internet-of-Things. […] We expect that our ongoing partnership with Frank will result in more collaborations and mutual support, and that it will enable more people to benefit. Our Fine Art researchers have been privy to a number of new research practices. Interviewing the public about their own memories and connections to the sites at which particular memories are routed was deemed an exciting an inspiring process. This was a collaboration supported by CWL’s creative voucher scheme and BOOST scheme. The June Givanni Pan-African Archive worked with Dr Emma Sandon from Birkbeck, University of London, to enhance access to and understanding of African Cinema.. The relationship with Birkbeck’s Institute of Moving Image allowed for the collection to be presented to potential stakeholder groups in the arts, academic and educational sectors. Under the BOOST scheme, the Archive worked with researchers from Birkbeck, to develop a model for decentralised and flexible archives with sustainable business models. Launch of website http://www.junegivannifilmarchive.com/ to promote awareness of and access to the Archive. 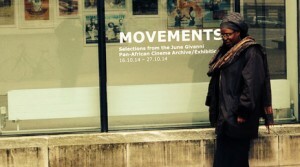 Co-curated events held in October and November 2014 under the title of Movements: June Givanni Pan-African Cinema Archive. These included screenings and a major exhibition at the University of the Arts London Chelsea, a brochure, and a smaller display, further screenings, and a day-event at Birkbeck. These were designed to promote access to the Archive and enhance the business. The creative voucher and BOOST schemes support the development of deep and sustainable collaborative research relationships involving Arts and Humanities researchers and SMEs in the creative economy. This particular collaboration emerged from a themed round on Archives, which supported collaborations with eight archives in London to maximise their accessibility, sustainability, cultural and economic contributions, and research potential. The collaboration has greatly enhanced the public profile of my business. There have been expressions of interest from other institutions nationally and internationally in touring the exhibition. The most valuable have been exchanges I have had and connections made concerning the practical organisation and managerial aspects of the archive – (such as intellectual property) identifying possible collaborators with experience in the field. 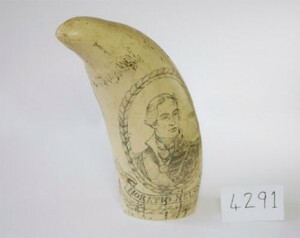 The collaboration has demonstrated how an independent archive of a specialised nature with an SME with specialist curatorial knowledge can be utilised within an educational context for post-graduate and research students. I also been able to re-think aspects of my research interest in colonial film archive, www.colonialfilm.org.uk, in relation to public access, in which the colonial archive can be reframed through innovative curatorial collaborations between scholars, curators, musicians and artists from African and African diaspora backgrounds. The Archive and the researcher plan to collaborate over future Pan-African cinema events for the Birkbeck Institute for the Moving Image and link these with curatorial courses for postgraduates in the Film, Media and Cultural Studies Department. They are also planning an edited publication on the area of Pan-African Cinema Archive. The model for sustainable archives is relevant to a wide range of archives and specialist collections. This was a collaboration between Dr. John Price (Roehampton) and Prossimo Ventures Ltd was supported by CWL’s creative voucher scheme. The Watts Memorial to Heroic Self Sacrifice in Postman’s Park, London is a grade‐2 listed Victorian monument featuring fifty‐four ceramic tablets, each of which documents an individual who lost their own life while heroically attempting to save another. Many visitors chance upon the monument accidently and, although immediately captivated by the tragic stories, there is currently no on‐site facility or in‐situ opportunity for them to discover more. Because of its listed status, it is not possible to physically attach any form of interpretation to the tablets themselves and so another method of delivering information is required. This project employed Augmented Reality and Image Recognition technology, delivered via mobile platforms, to bring to life the fascinating history of the monument and, in particular, illuminate the everyday lives and heroic deaths of those commemorated. This voucher was under the theme of ‘mobilities’. This project utilised mobile platforms, such as smart phones and tablets, to augment and contextualise a contemporary environment by mobilising and delivering historical research in new and innovative ways. Augmented Reality technology allows visitors to quickly and easily shift between the live and the digital, between the present and the past, and to experience the history behind each tablet while geographically standing in front of it. This project will also create cross‐generational mobility by encouraging and facilitating a wide and modern demographic to engage with and more fully understand the lives and experiences of previous generations. The project was undertaken from the outset as a portfolio example of the SME’s capabilities. As we are only now preparing for project completion/sign-off it is too early to evaluate how the project may impact future business (i.e. in terms of follow-on work and future revenue). However, both the SME and Academic partner are happy with the resulting application and are optimistic that work of a similar nature could be secured in future. From a collaboration perspective the project has provided the SME with a deeper insight into liaison with academic establishments and staff, which will prove useful in future. Furthermore, the collaboration has yielded opportunities for the SME to undertake other (non- related) developments for the academic partner. The experience of working with the SME has been extremely enlightening. In the first instance, the collaboration has affected my research by making it far more mobile, extending its reach far beyond the academic community and increasing impact. More than that, the end product resulting from the collaboration has led to a publishing contract for a book on the same topic, so the research will gain further dissemination and reach. More profoundly than that, working on the app and adapting my writing to fit the platform has led me to think differently about how academic writing can be shaped, not only for public audiences, but in relation to outputs. The Watts Memorial is a very London‐centric monument and it illustrates the rich heritage of the capital through references to other locations, such as the site of the incident or the final resting place of those commemorated. By utilising an open‐data format and employing data linking, the rich content of this user experience is made freely available to a wide range of other organisations within the creative economy. 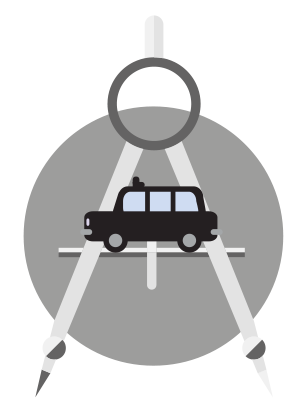 The project will also create a freely available template for employing Augmented Reality to contextualise historical research and engage with Open City, the not‐for‐profit cultural organisation behind the Open House London event. This collaboration was the result of a Creativeworks London Researcher-in-Residence post where Dr. Peter Mitchell (Queen Mary University of London) worked with the Ragged School Museum in London’s East End. The project was to transcribe the surviving admissions books for the Doctor Barnardo’s Copperfield Road Free School – the late nineteenth-century institution which forms the Museum’s basis, site and raison d’etre – and compile a report on their usefulness as historical sources. The Ragged Children, Mended Lives? project received small award funding from the Centre for Public Engagement and won the Interact category for partnerships and collaborations in public engagement at the QMUL Engagement and Enterprise Awards 2015. Researcher – Perhaps the greatest strength of the R-in-R scheme is its combination of relatively generous funding and non-inerventionist oversight: the delicate and intelligentways in which CWL assists its SMEs and researchers to find common ground and ways forward into collaboration without exerting and particularly overt control over objectives, processes or outcomes is very productive. This collaboration has enabled the museum to plan for new displays which will bring to a new public the history of the Copperfield Road Free School. This is a pioneering piece of research for the Museum because it will bring to life the narratives of the children who attended here. The Museum has a small staff complement and does not have the resources to undertake such in-depth research. The outcomes of this research and our further collaboration with departments at QMUL will strengthen our bid for major capital funding from the Heritage Lottery Fund. 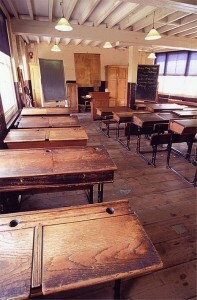 The RSM is in a strong position to tell the history of the struggle for free universal education in Victorian Britain. This narrative is all the more compelling when it can be peopled with real lives. ‘“Peopling the Ragged School” was a project that I undertook after having been awarded my PhD, and while not in any other research position, so I can’t really speak to its having been an influence on any other work. However, the background research I undertook in acquainting myself with the RSM, its work and its background has had a very positive effect upon my research interests and specialisms as a whole: my previous area of expertise was colonial government and the exhibitionary complex in the late nineteenth century, but this work has involved me becoming broadly conversant in urban social and educational history in the same period, as well as the local histories of the East End. At the same time, undertaking the transcription project (an element that is still ongoing, under the QMUL/RSM collaboration beginning Feb 1st) has helped me develop my transcription and documentary research skills. Researcher – from Feb 1st, with a finish point in June, the RSM and the School of Geography at QMUL are undertaking a collaborative project entitled Educating the East End, Past and Present: Developing new Exhibition and Learning Materials with the Ragged School Museum. This will involve combining several research strands – one of which is the one we have been developing through this R-in-R post, focusing on the Copperfield Road attendance registers – into making new exhibit materials (currently envisaged as information boards – for the Ragged School Museum, and developing new learning materials for KS 1, 2, and 3 in schools which work with the RSM. The project is funded by QMUL’s HSS follow-on funding, and I will be employed part-time to co-ordinate until June. Since finishing two RIRT schemes Dr. Mitchell is now a research fellow at the University of Sussex.